Caius guarantees accommodation for all undergraduates throughout their time at Cambridge. 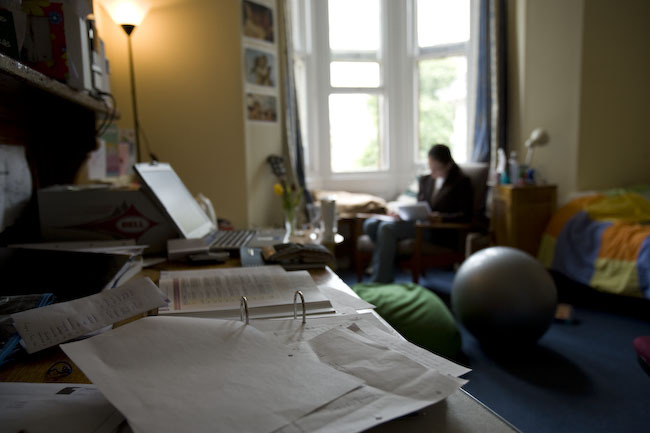 Rooms range from modern en-suite study bedrooms, which every first-year student benefits from, to medieval ‘sets’, with a separate living room and bedroom. Rents vary accordingly, from around £138 to £146 per week, including heating, cleaning, electricity and internet. You only pay rent while you're in residence, and our short 10-week terms and not-for-profit approach mean that accommodation costs are often significantly lower than at other universities. All rooms are fully furnished and free laundry facilities are available on site. There are small shared kitchens in all College accommodation, for the preparation of snacks and simple meals. 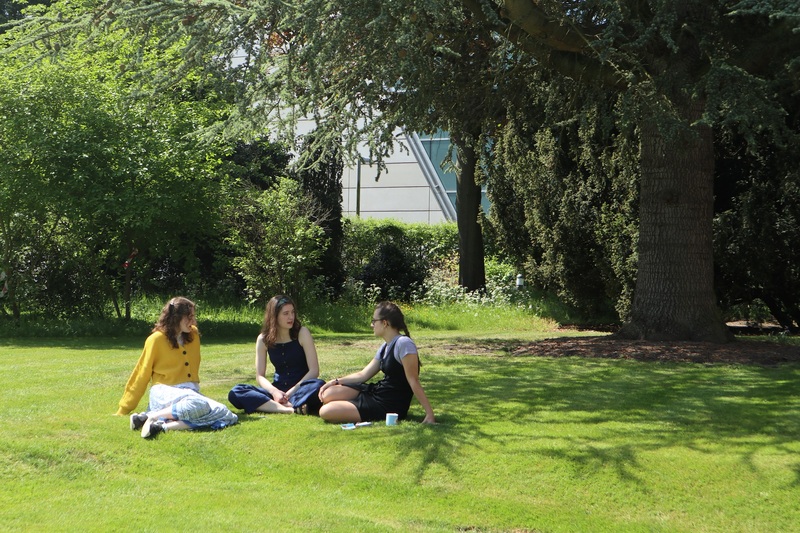 All first year students live together on the West Road campus, which makes it easier to get to know each other in the first few weeks at university. Fresher rooms are all en-suite and are either in Harvey Court, which was refurbished in 2011, or our ultra-modern Stephen Hawking building, completed in 2006. Across the river Cam and just a few minutes' walk from the Old Courts, this campus is right next to the University Library and the main Arts Faculty buildings. After first year, students choose their own rooms, and the order in which they choose is decided by a random ballot. It’s possible to ballot as a group, so that you can choose to live with your friends. Typically, second years live either in newly-appointed rooms on Rose Crescent and Green Street in the city centre, or in one of our College-owned houses, commonly referred to as hostels. Most of the hostels are substantial Victorian houses clustered around Fenners, the University Cricket grounds. All are about ten minutes from the Old Courts by bike. Many of our third year students live in the Old Courts, the College's main site. These five beautiful, historic courtyards are a hidden gem at the very centre of the city. We welcome applications from students with a disability. We have purpose designed rooms for disabled students, and all main buildings are wheelchair accessible.